A French cheese, Coulommiers is the less well known cousin of Brie (despite being produced for longer). It does have many of the same characteristics of Brie - being soft, creamy & buttery, but this had a slightly more lively fruity flavour to it. 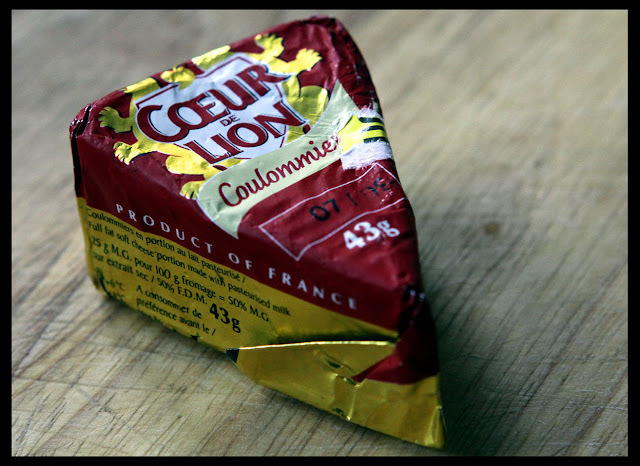 This particular piece from Coeur de Lion came in an individual bitesise portion - nice cheese chomp on the move! Mmmmmmm.